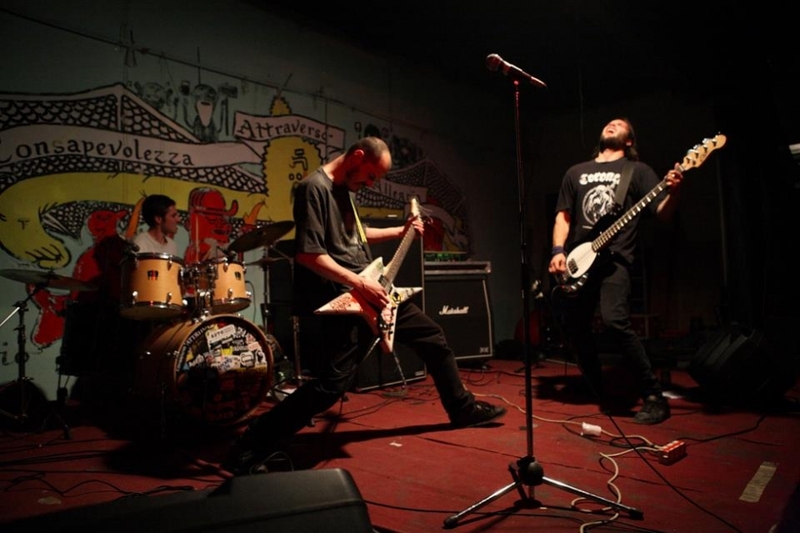 Death Metal and Grindcore expecially, are genres in particular that go beyond the music. They are the most blatant expression of a complex mental state of' dissatisfaction with society, with that submissive and hypocritical humanity that compose it; it might almost be said that it is not a true "choice" to arrive at these forms of speech but it is actually a condition. When you have a few alternatives and find yourself in a state of "blind anger", not so many are fortunate enough to have the strenght or clarity needed to pour such hatred in a form of art like music and you find making choices too often counterproductive for yourself. So in this case the extreme music is a reaction to the above conditions and not the live certain experiences with disillusionment and acquiescence as many people do, often also for "laziness". We face life as the issues that we deal with sarcasm in the lyrics and with a certain amount of "cynicism", this helps us to translate our dissatisfaction and our sense of disgust in music tracks that are short, nervous, direct and never resamble to each other.